Notes: Local in ravines, gorges and rocky mountain-sides, in western Scotland, the Inner Hebrides and the Yorkshire Dales. 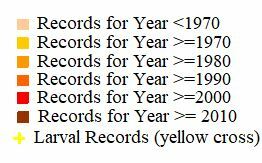 Unlikely to be recorded in Hampshire or on the Isle of Wight. Wingspan 34-39 mm. 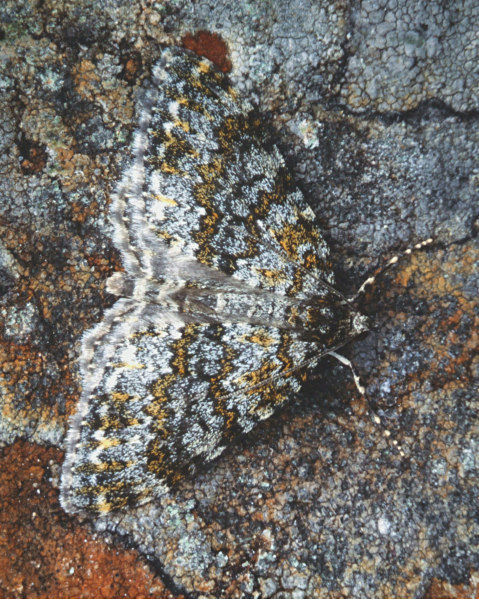 Similar to Grey Mountain Carpet E. caesiata, which see for differences. Larva feeds on English Stonecrop, Yellow Saxifrage, Mossy Saxifrage and Purple Saxifrage.